We have an unfinished section in our basement. Part of it is out laundry room, part is storage, and part is our home gym. 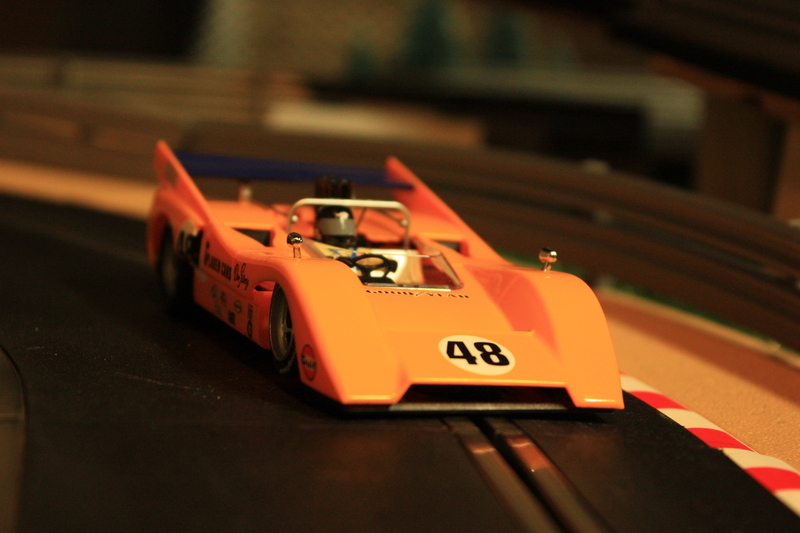 But another part is actually a 1/32 scale slot car track. I call it "Poolesville International Raceway". I thought it was a cute name for a small track in a small town of ~5500 people in rural Maryland. The track is a 2-lane track that's 66' long, laid out on two 4'x8' sheets of plywood in an "L" pattern, and is mostly twisty. There's a progam that you can download to create track layout layouts, and my current layout was the 5th revision of my 29th attempt. You can end up with a lot of crappy layouts before you get one that works, Not to mention one that's fun to drive. Eventually I'll make a version with all the turns named. Some of them have ominous names like "Curva de la Morte" (the top left of the track, lower R2) and some have no names at all. It's a fun but difficult track to drive, but it's at least 10x more fun when you have someone to drive with, which I haven't had in a long time. 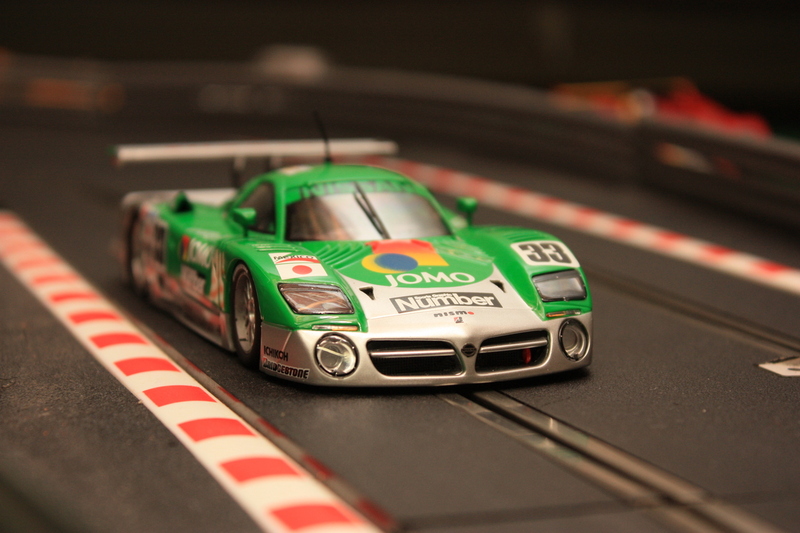 The reason I have the track is because a good friend of mine, Nick, is bigtime into slotcars. He was always wanting to take me to races, so I bought a car to drive so I wouldn't have to borrow (and crash) his. 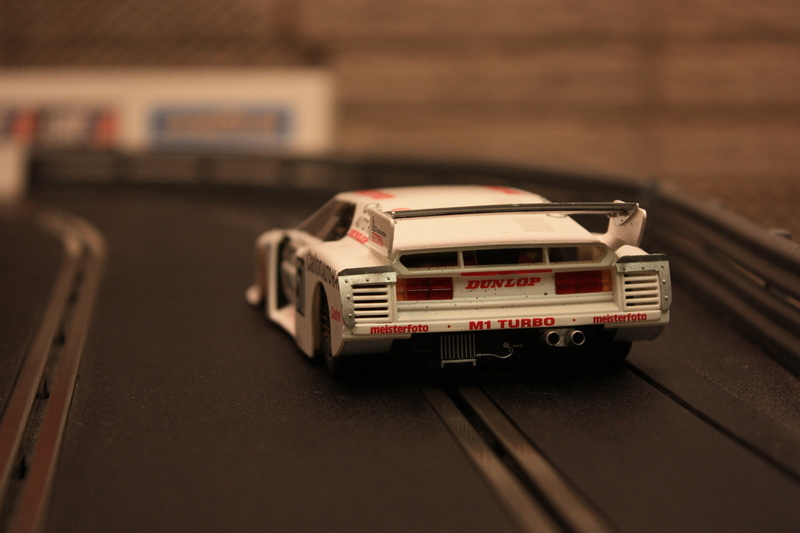 Well, having a slot car sitting around with no track to race it on is pretty pointless, so that's why I decided to build a small track, to practice and set up my car. Well, cars. One car became two, then three, then ten, then well, a lot. I think I currently have over 30 cars, most of them eBay finds. I have Jess's old, OLD computer hooked up to time laps, and I'm thinking about putting a wireless card in it so I can run pandora internet radio down there while I race. The reason I'm ressurecting the track is because I stopped driving my cars for a while, and when you do that, the track oxidizes and looses its electrical connectivity. I was to lazy to go around and scrub it clean, but my friend Frank helped me out one evening, so now things are running perfectly. I even got a dust cover for it to keep it clean. I've ordered some new tires for it, which will definitely help the traction in the back (and make it do faster laps). I just really like the way it looks, which is how I choose most of my cars. Who wants and ugly car? 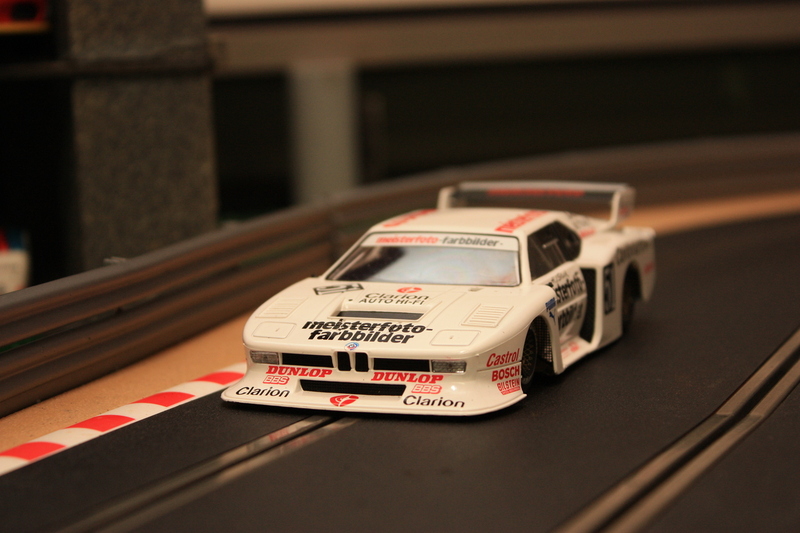 The rest of my cars can be checked out here, on my slot car page.